iPhone X Review: If You Don't Have an iPhone(X), Well You Don't Have an iPhone! Yes, it is highly priced at Rs 89,000 64GB version And the 256 6GB version will make your pocket lighter by Rs 1,02,000 but good things in life are never that affordable. So, is the all-new iPhone X worth the money and also an upgrade? We find out in this review. In September 2017 when we attended the Apple keynote in Cupertino and the company showcase the iPhone X and we were a little sceptical listening to the keynote about the iPhone X. But as we moved on to the hands-on area and held the iPhone X in our hands for the first time there was little doubt left that this would be the phone that we will be really looking forward to in 2017. 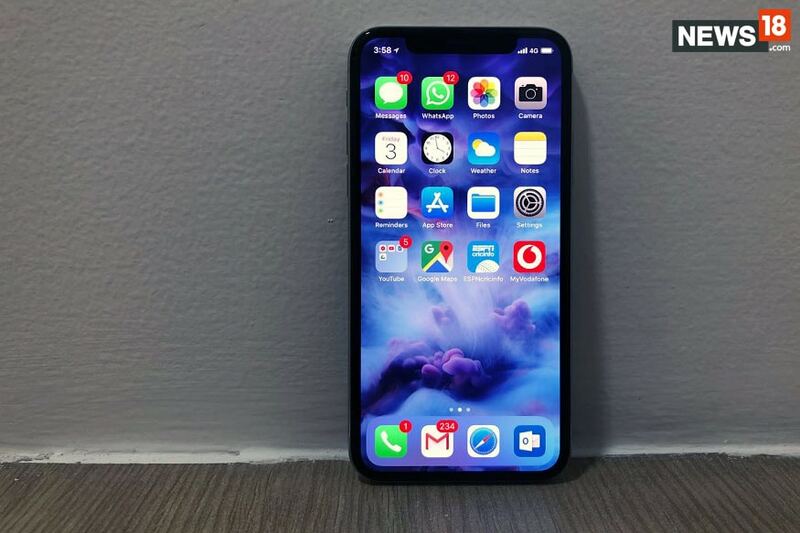 India is among the first countries get the iPhone X on November 3 and we were using it for a week now and loving the iPhone X experience. Yes, it is highly priced at Rs 89,000 64GB version And the 256 6GB version will make your pocket lighter by Rs 1,02,000 but good things in life are never that affordable. So, is the all-new iPhone X worth the money and also an upgrade? We find out in this review. Apple says that it always wanted to have an uninterrupted single big display on an iPhone. Come 2017 they have managed to do exactly that your new iPhone X. The new iPhone X features a super Retina display which Apple says is made up of the most beautiful and toughest glass ever on a smartphone. They also use surgical grade stainless steel band for strength that seamlessly integrates on the sides of this smartphone. The placement of the camera on the back is now vertical to basically assist with the augmented reality features that the new iPhone X supports. The home button is also gone and so is the touch ID. This is a phone that just has a single big display up front and a small little notch on top to support the cameras and the speaker. The back panel of the iPhone X is also all glass and there are two new colours that are both really cool. Initially, we thought that the iOS 11 was made for the iPhone 8 and iPhone 8 Plus, but once we started using the iPhone X, the experience was a notch up. The new iPhone X is also water and dust resistant. Removal of the home button means that gestures are all that you have in your arsenal now to navigate within this device. Apple has also redesigned speakers that are up to 35 percent louder and deliver deeper bass and it was quite evident when we placed the iPhone 8 Plus and iPhone X beside each other and played some music on them. 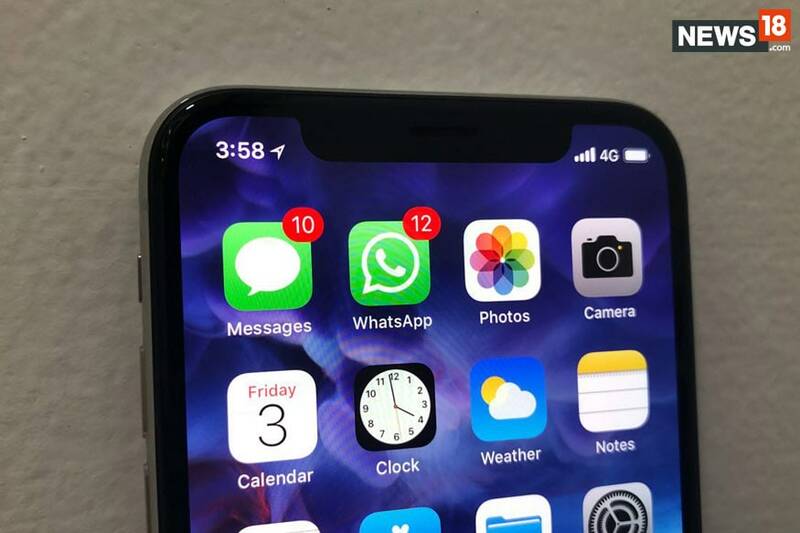 Apple had always intended for iPhone to be a truly wireless device and finally, the new iPhones including the iPhone X now comes with wireless charging support. With a glass back and an embedded wireless charging system, iPhone X is designed for a wireless future by Apple. 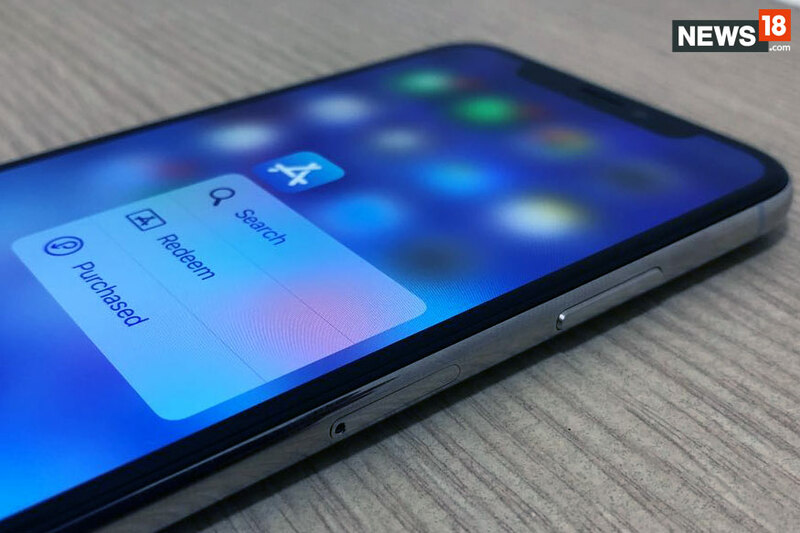 In terms of the overall size the iPhone X has a bigger display size than the iPhone 8 Plus, but as it’s a nearly bezel-less design the overall proportions of the iPhone X is smaller than the iPhone 8 Plus and slightly bigger than the iPhone 8. The device fits perfectly in one’s hand, but to reach to the corners you’ll still have to use your other hand for support. The display on the iPhone X is Apple’s first attempt at an OLED panel and once you look at it you wonder why was this never done before. The iPhone X comes with a bezel-less 5.8-inch Super Retina HD display. This is an HDR display with a 1,000,000 to 1 contrast ratio. It also offers a high resolution and brightness, wide colour support, and the colour accuracy is as close as it can get to reality. We have seen plenty of new smartphones from the Android eco-system this year that have beautiful displays and the new iPhone X might make them think about making phones with a true High Dynamic Range (HDR) display. The display also supports Dolby Vision and HDR10. We watched the entire new season of Stranger Things 2 on Netflix using the iPhone X and the HDR was quite visible on the iPhone X. Even the images that we captured just looked lifelike on the new iPhone X. Just like the iPhone 8 and 8 Plus the iPhone X comes with a True Tone display. The True Tone technology uses an advanced six-channel ambient light sensor to subtly adjust the white balance onscreen to match the colour temperature of the light around you. So images on the display look as natural as on a printed page, reducing eye strain. 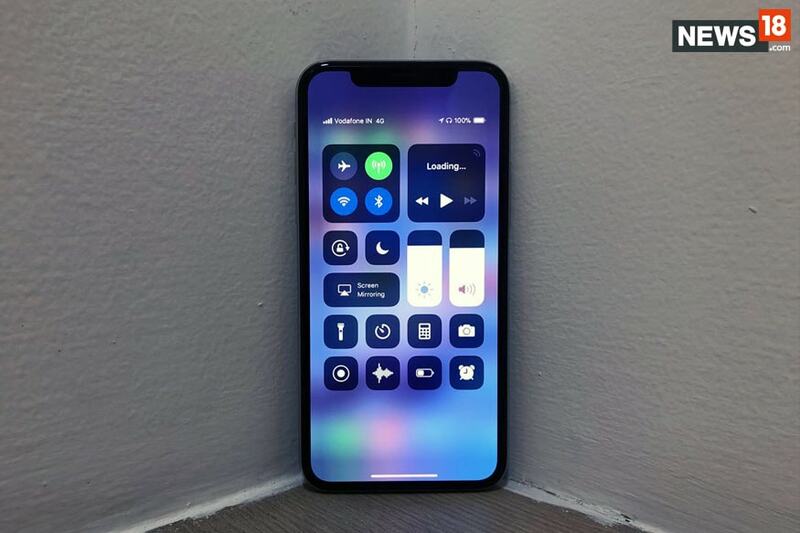 Apple has also used an innovative folding and circuit stacking technology, the OLED panel follows the curves of the device into the farthest reaches of the corners. Then it uses a process called subpixel anti-aliasing to tune individual pixels for smooth, distortion-free edges. So from edge to edge, this display is as crisp and beautiful as it can get. 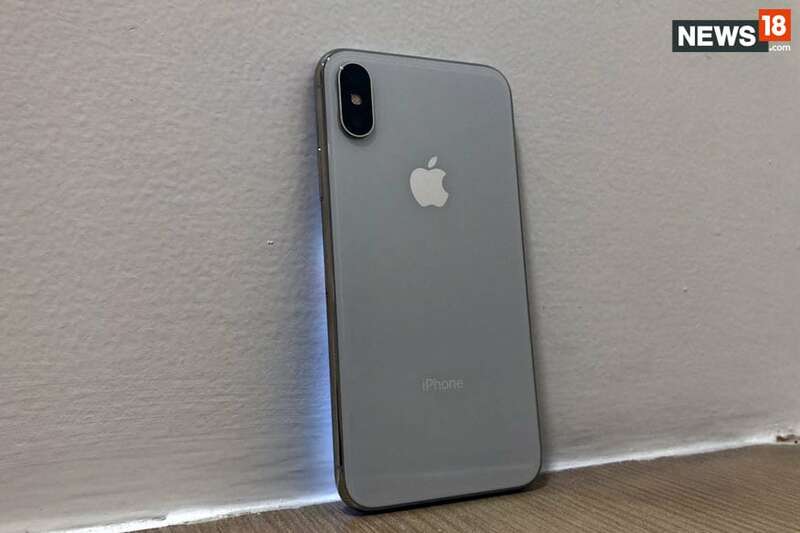 Apple iPhone X runs on Apple’s latest The A11 Bionic chip that’s also present in the years iPhone 8 and 8 Plus. The A11 Bionic chip comes with a neural engine that’s capable of up to 600 billion operations per second, and yes it is quite fast. It has a six-core CPU design with 4.3 billion transistors. There are two performance cores and four high-efficiency cores on this processor. If you are a power user this device can also harness all six cores simultaneously. The iPhone X according to Apple is the phone of the future and that’s the reason the processor comes with a Neural engine. A neural engine is a hardware that’s purpose-built for machine learning. It is a type of artificial intelligence that enables computers to learn from observation and user patterns. This increases the efficiency of users to harness the full potential of a phone. And we are yet to harness that on the iPhone X. We would say that we are still just able to come to 60% of what this phone can do for now. The neural engine in the A11 Bionic chip is a dual-core design that recognises people, places, and objects. It is also the driving force behind features like Face ID and Animoji that’s available only on the iPhone X.
iPhone X also features a redesigned dual 12-megapixel back camera system with dual optical image stabilization and all-new sensor. The ƒ/1.8 aperture on the wide-angle camera is similar to the iPhone 8 Plus but on the iPhone X now you get an improved ƒ/2.4 aperture on the telephoto camera. The sensor on the iPhone X loaded with an improved Apple-designed image signal processor (ISP) deliver advanced pixel processing, wide colour capture, faster autofocus in low light, and better HDR photos. The images clicked on the iPhone X are also slightly better than what you get on the iPhone 8 and 8 Plus. Low light images are also improved and the large sensor also helps in better video stabilization and higher video frame rates. On the telephoto camera front, the device uses a seven-magnet solution, that includes a second OIS system in the telephoto camera. Together. Both the cameras now enable optical zoom and also amazing portrait photos. Just like the iPhone 8 Plus the iPhone X also comes with Portrait Lighting mode (Beta) that just lets you play around with different lighting conditions while clicking the subject in portrait mode. Dual OIS also helps in making the shake almost negligible while shooting action shots on the iPhone X. The A11 Bionic chip also comes with an Apple-designed image signal processor that’s also able to detect elements like people, motion, and lighting conditions to optimise your photos before you even take them. The camera in a way is always on standby and ready to go on the new iPhone X. Along with the ISP, the video encoder also enables faster frame rates and high-quality 4K video up to 60 fps. 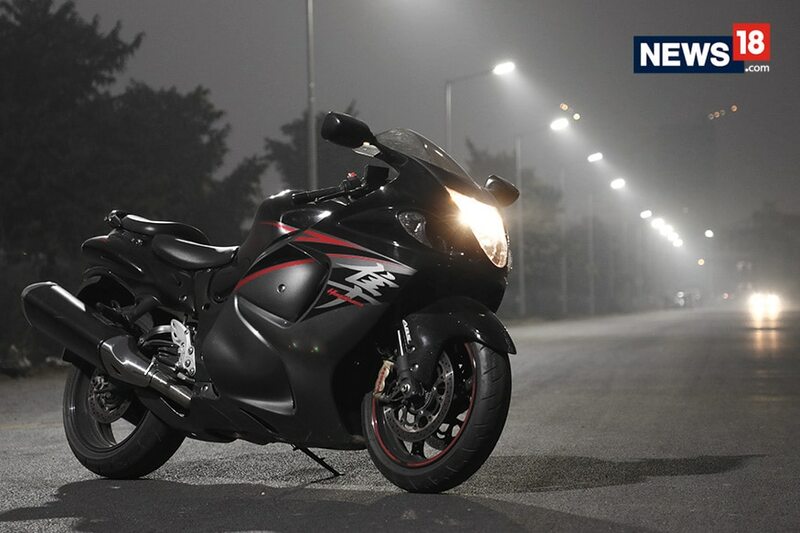 It is also now able to shoot exceptionally good slow-motion video recording in 1080p at 240 fps. On the Augmented reality front the iPhone X is made with carefully calibrated cameras, new sensors including the gyroscope and accelerometer to allow for a realistic AR experience on this device. We tried out apps like Insight Heart and NightSky and were left impressed with these initial efforts of AR app developers. The iOS 11 introduces ARKit which is a new framework that brings augmented reality to hundreds of millions of iOS devices by allowing developers to easily build unparalleled AR experiences. This is something that is enabled on the iPhone X also. Now augmented reality is something that’s like a natural progression of how we will be using smartphones in the next five years and this device is already ready to take on this new challenge. The rear camera module on the iPhone X is also a dual-camera setup that’s vertically placed also to enable efficient augmented reality applications. 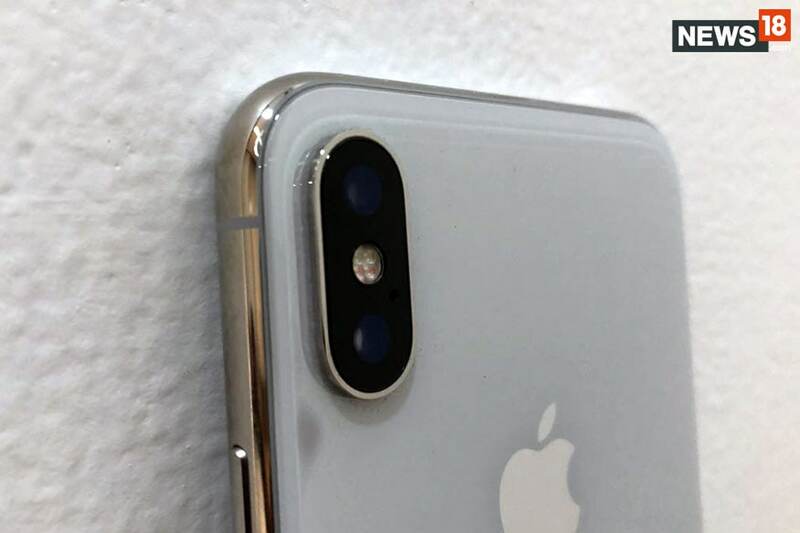 This camera module is placed up front on the iPhone X. The device houses this entire module in that notch on top of the display. The TrueDepth camera system is capable of accurately mapping the geometry of your face and enables Portrait mode selfies, Portrait Lighting on the front camera, and Animoji. Animoji is an animated emoji message that one can now send on iMessages to other iPhone users. This is also responsible now for the Face ID feature on the iPhone X. Face ID is the user authentication system on iPhone X that begins with data captured by the TrueDepth camera. The sensors read the unique geometry of your face and compare it to information protected by the Secure Enclave of the A11 Bionic chip. If there’s a match, iPhone X unlocks. Now many have been sceptic about the Face ID but we found it way more convenient than the Touch ID on the older iPhones. Apple also assures that the facial data is locally stored on the device and not on iCloud. So it is a safe and secure way to block access to your phone for security. It also keeps the notifications hidden until the time it detects the owner of the phone. Also, there have been reports that identical twins can unlock this device, but we are yet to test that theory out. The TrueDepth Camera now also enables Portrait mode selfies on the iPhone X. The device lets you shoot selfies with a depth-of-field effect that puts your face in sharp focus against an artfully blurred background. The front camera Portrait mode selfies also get the Portrait lighting mode that’s still in Beta just like the portrait mode on the rear camera. Apple iPhone X comes with a large power button that also doubles up as the button for Siri. Siri along with iOS 11 on the iPhone X now offers support for 11 Indian language keyboards– the latest additions being Kannada, Malayalam, and Odiya. Users can also use their voice to dictate in Hindi and have those words automatically appear as text in Apps like Mail, Messages, and other 3rd party apps like WhatsApp. This will only work when any of 3 Hindi Keyboards are being used - Hindi, Hinglish, or Hindi transliteration. To get Siri users will have to press and hold the side button to ask Siri a question. To wake the device one just has to tap anywhere on the Super Retina display of the iPhone X. To exit any app you have to swipe up from the bottom edge at any time to return home. If you hold the bottom edge with a press the multitasking window opens up. To access lock screen notifications one has to swipe down from the top-centre of the display and to open the control centre swipe down from the top-right edge. 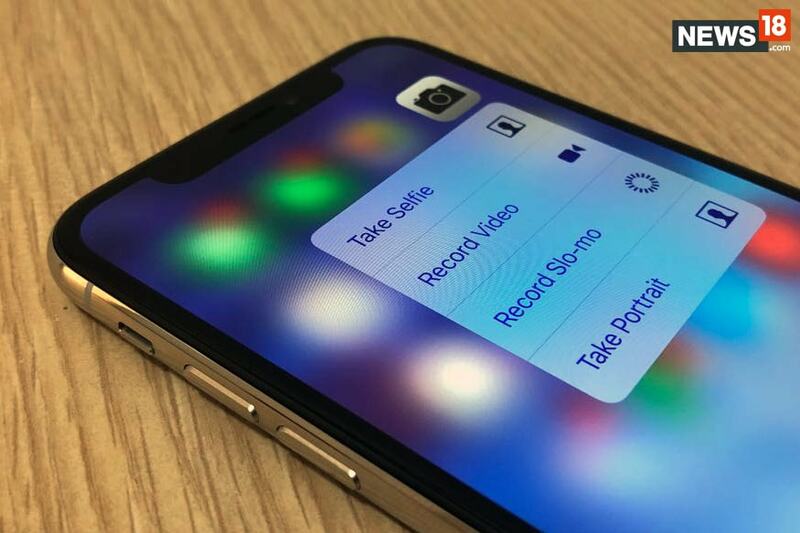 To take a screenshot on the iPhone X, one has to simultaneously press and quickly release the side button and the Volume Up button. And for those who were concerned as to how they will be able to force restart the iPhone X, all you’ll have to do is press and quickly release the Volume Up button, then press and quickly release the Volume Down button and finally, press and hold the side button until you see the Apple logo. The iPhone X is a device that is truly a full gesture functionality device. And the problem that we had with this gesture experience combined with iOS 11 was that once you get used to it, it’s really hard to use the older iPhone devices and even the newer iPhone 8 and 8 Plus. It’s like Jack Reacher, once you are on an iPhone X you just cannot go back. Apple, as usual, does not say what the mAh on the battery of their devices is. Usually one gets ambiguous figures. It’s usually a guess and we believe that it uses a battery that has anywhere between 2500 mAh to 2800 mAh capacity. According to some websites, the iPhone X comes with a 2,716mAh battery. Now those are just figures and specifications that only matter of your device is badly optimized. When it comes to our usage of the iPhone X the battery was a bit of a concern. The device struggles to last an entire day and will remind you of the older iPhone days when you had to carry a charger with you. That’s also because of the big display that the iPhone X comes with and that OLED panel. The iPhone 8 Plus running on iOS 11 lasts longer than the iPhone X and we think that is a bit of a concern. The iPhone X is designed for a wireless world. And that includes a wireless charging experience. All glass back helps it in achieving that. The iPhone X works with Qi-certified chargers.